I’ve been a swashbuckler, a cop, a space janitor, a prince, a king and countless other characters in point ‘n click adventures over the years, but a cat? This is definitely a first, even though we’re dealing with a sequel here. Never imagined cats could do detective work either, however smart the breed, but for the sake of those poor animals, I hope Orazio’ll be able to right this wrong and fast. In case it wasn’t clear already, everything about this game revolves around cats. 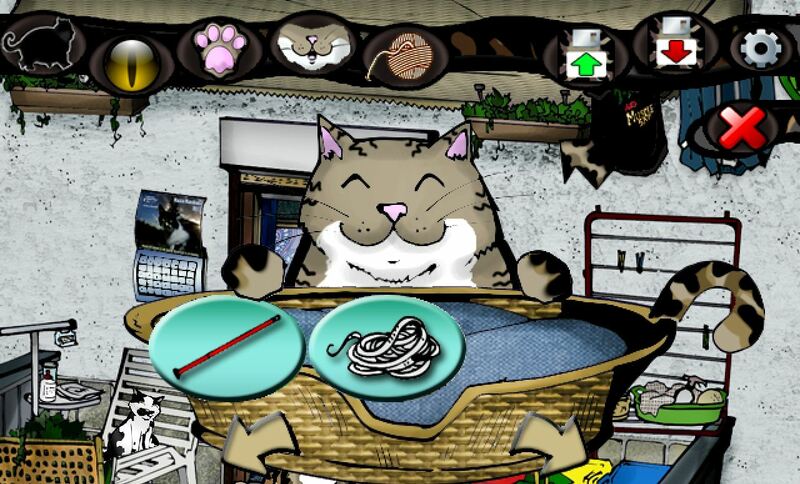 From Orazio’s meowing every time he picks an item up, to the way the controls and inventory are designed. 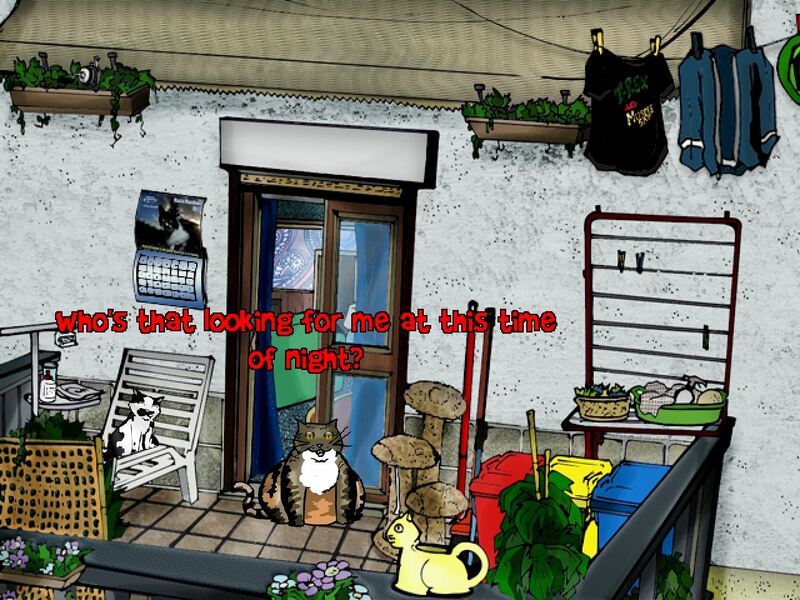 Other than that, it’s a pretty traditional puzzle-driven point ‘n click game, in which you’ll have to combine items and talk to characters for clues, to move the story along; except, you know, with cats. Everywhere. Everyone’s a cat. Meow!